Anyone who may be interested in being part of a rotating schedule to buy and deliver groceries for the priests, please contact the coordinator Karen Hastreiter at karenhastreiter@yahoo.com for more information. For those interested in doing the same thing for the sisters, please contact the coordinator Carmen Braaten at braaten3@yahoo.com. May God reward your generosity. Direct Deposit is now available! 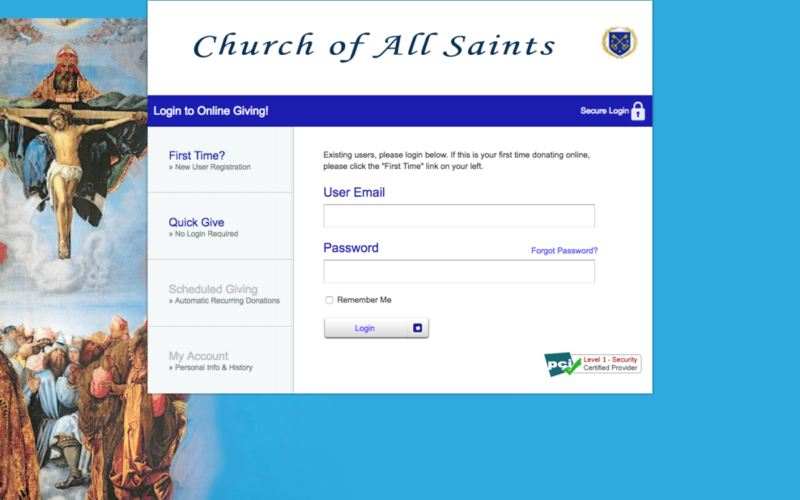 Weekly or monthly donations and tithes can now be made via direct deposit! This can be done by clicking on the new “Online Giving” link. The link is user-friendly and should be self-explanatory. To set up recurring donations, click the “First Time?” button and create an account. One-time “Quick” gifts are also possible through this link without logging in. A ConnectNow Giving App can also be downloaded to the phone. While direct deposit is encouraged (45% of the parish is enrolled), check and cash donations are still welcome. As the envelope system has been discontinued, for cash donations to be credited for tax purposes, please be sure to put your name and address on the envelope that is used so it can be identified and recorded. Thank you! The Sisters stand in need of a few remaining items for the convent. Used items are welcome. If willing to donate, please contact Mother Maria Regina first at filiaelaborismariae@gmail.com or at (415) 310-7598 . May God reward you! Fr. Saguto will be away Tuesday April 9 to Thursday April 11 for an FSSP Board of Directors meeting (any questions on the timing of this meeting can be directed to Fr. Harkins). There will be no change in the Mass or confession schedule during that time.